More dry rock slabs, pine needles and sun yesterday at the second and final day of our team kickoff. I am getting along better and better with the new frame, It feels really sweet going downhill. I also got some new kit from ilikebike that will be interesting to try, Onza Ibex tyres and Evoc backpacks. Team Martiin pinned, Stefan behind the lens. Thanks a lot to Martin for the couch, the guiding and everything else. This summer will be a good one! 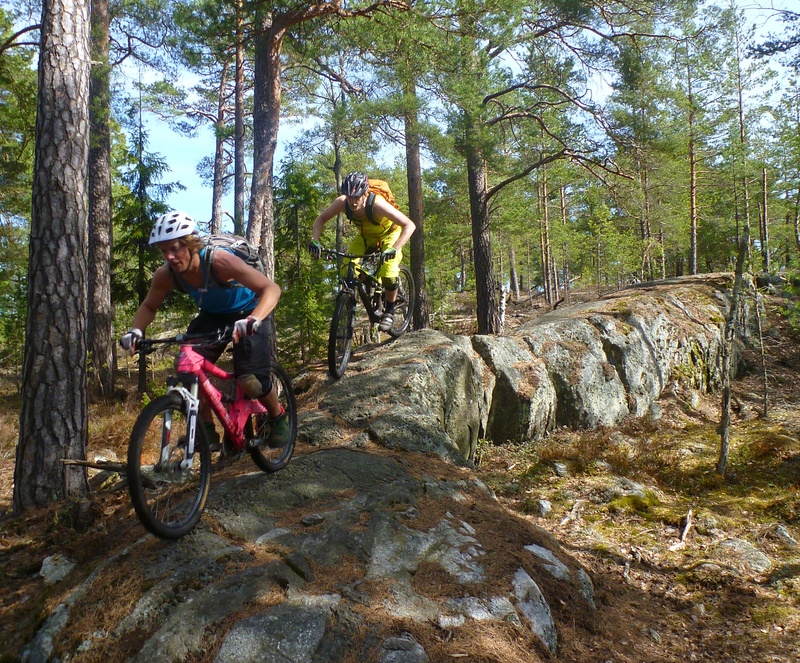 Lots of dry (and some not so dry) trails today in Stockholm, quite a change from all the snowboarding. 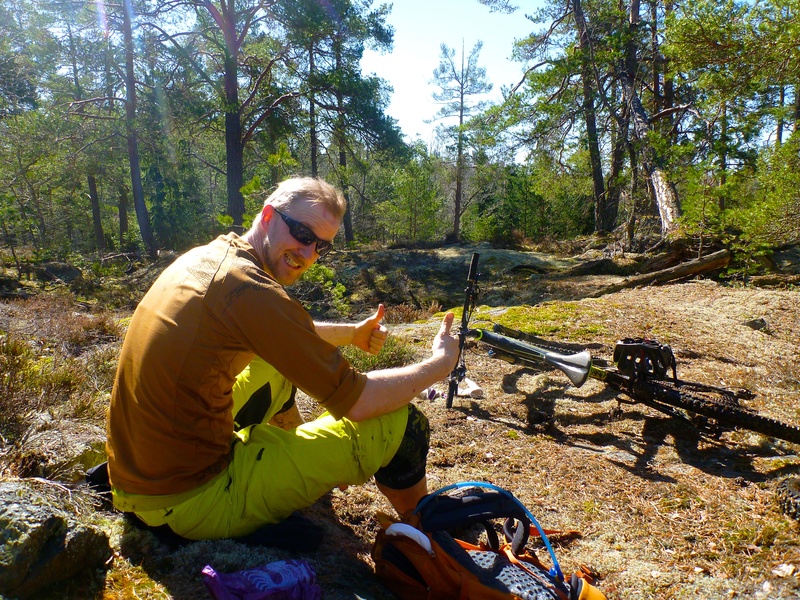 Hellas is a fantastic area for trail riding, and Martin knows where to find the good stuff. Great day in the sun, and tomorrow looks promising as well.